On 4 October 2018, EDF, one of the world’s leading electricity companies, and GIBB, a leading engineering player in Africa signed agreements for EDF to invest in GIBB Power, a subsidiary company of GIBB Engineering and Architecture specialising in engineering in the energy sector. By building on the skills of GIBB’s energy division and on EDF’s multi-skill expertise, GIBB Power, which is owned 70% by GIBB and 30% by EDF, aims to become a reference-engineering platform, specialising in supporting energy projects and offering solutions to the challenges of energy transition in Africa. Thermal Engineering, for instance in the decommissioning of coal-fired plants in South Africa: the country’s energy policy makes provisions for the closure of 12 GW of coal-fired stations between now and 2030. Hydraulic Engineering, supporting hydropower projects, notably in Zambia and Mozambique, where the potential for hydropower represents a key energy resource for the Southern African Development Community region. Solar and wind power supporting the rapid development of these energies throughout Africa. EDF has been active in South Africa for over 40 years and is known and recognized locally both for its historic cooperation with ESKOM and its investment in wind power and rural electrification projects. The synergy between EDF and GIBB’s expertise will pave the way to increasing their activities in engineering services in Africa. In addition, GIBB Power will enable EDF Group to identify, screen and develop greenfield projects in Africa. Richard Vries, Group Chief Executive of GIBB Holdings “In the past, GIBB has on a number of occasions actively partnered with EDF to deliver major projects. This investment in GIBB Power is therefore a natural progression of the relationship. 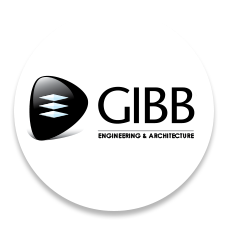 GIBB power is now poised to deliver world class solutions to clients by bringing the necessary breadth and depth of technical skill across the full spectrum of the energy value chain”.